Baby preparations! My lovely wife and I are expecting our first child in April. Each week brings a new interesting development. I love my expanding family so much. The 2009 New Orleans Saints, who are playing the best football in franchise history. I hope this lasts all the way to the Superbowl. DEPT of CHANGES, a new project I’m working on with Erik Kiesewetter. Sara Roahen, whose excellent treatise on Red Beans & Rice “Rising to the Occasion” has inspired a rebirth in my obsession with cooking that storied dish. If you’re a friend of mine you should get in touch to come over for dinner one Monday night. I’m making the best beans of my life right now. Broadcast and The Focus Group - #1 : Witch Cults, a collaboration between the British graphic designer Julian House and the band Broadcast. The EP that this video is tied to has been on heavy rotation in my life throughout this season of the witch. Fellini Satyricon: I revisited this film a few weeks ago and it absolutely blew me away. Roman decadence through the modernist lens of Fellini’s ego at its height. Each time I listen to Animal Collective’s Merriweather Post Pavilion it gets better. This is my favorite album of the year and one of the decade’s best. Momofuku. I’m still obsessing over David Chang’s approach to cooking, nine months after my consecutive trips to Momofuku Ssam Bar. His Momofuku cookbook is released today. I’ve been on a Thelonius Monk kick lately. His dissonant jazz serenades are among the finest recorded material of the 20th century. My mom gave me the Times-Picayune recipe collection Cooking Up a Storm for Christmas last year and I’m just now getting to it. It contains a wide variety of great recipes for New Orleans classics. My favorite recipe is for McKenzie's Oyster Patties. I'm going to try them for Thanksgiving. As a side-note my stepfather gets a great acknowledgement, he worked with the authors to retrieve files from Katrina damaged hard-drives. The Annunciation site 3 years in the making finally launched a few weeks ago. Initial concept and design by yours truly. Flash, design expansion, copy & WordPress by Benjamin Seyna and Peter Rigney. Lakeside Camera redesign. I designed the central concepts, layout, and interface for this very large project. Front-end code by Alan Kukral, Expression Engine integration by Jon Willoth. The Cowen Institute for Public Education Initiatives, Tulane University. I designed this site based off of branding by Trumpet. Front-end code by Alan Kukral, WordPress integration by Benjamin Seyna. Finally, a note of congratulations to my friend Stephen G. Rhodes, who recently had openings at Vilma Gold London, Galerie Isabella Bortolozzi Berlin, Metro Pictures New York and the Frieze Art Fair. That’s on top of earlier shows this year at the New Museum and Misako & Rosen Tokyo. I’m looking forward to watching some Tigers / Saints football with him when he comes home in a few weeks. National Day of Slayer TODAY! Today is 6.6.06, the National Day of Slayer. Be sure to listen to Slayer as loud as you can, wherever you are. While you're at it listen to Black Sabbath, Morbid Angel, Deicide or any other evil Heavy Metal that you can get your filthy hands on. Gnarls Barkley is Cee-Lo + Danger Mouse. I've been hooked on this track all week. Today I downloaded St. 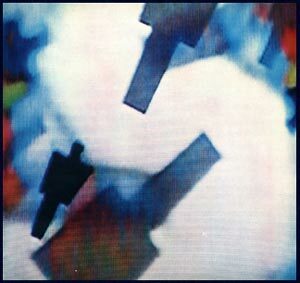 Elsewhere, their new album. It is 100% dope! Shanna and I met up with a big group of our friends yesterday and headed down to the Jazzfest, thanks to Ryan's contribution of free tickets. We started off with food, of course. I had a few of the usual favorites but the standouts were the new Andouille Calas with Green Onion Sauce & Vaucresson's Crawfish Sausage Po-Boy. After the treats we headed over to Congo Square and caught Soul Rebels Brass Band, who rocked the house. The next stop after that was the Williams Plum St. Snoball Stand where we enjoyed delicious snowballs covered in condensed milk. Next up we met Kay & Louis over at Economy Hall to hear some great traditional jazz followed by a trip over to the Acura stage to see the first part of Allen Toussaint & Elvis Costello's amazing New Orleans R&B set. Hearing Elvis belt out Ernie K-Doe's "Mother-In-Law" was a real treat. The icing on the cake was getting down to Rebirth Brass Band who totally ruled the stage and the crowd. After they finished a very tired Shanna and I rode home. I finished the day by meeting up with Will and Sonny for a beer at the R Bar. I'm totally sunburnt and tired today but it was worth it. I always enjoy my one day of the year at the Jazzfest. I've been going back and forth on whether or not I will attend The Fest this year. Today I woke up and read this article in the Times-Picayune and have been swayed a bit closer to going. This post on Looka! is also making me want to go pretty bad. I've always wondered why the organizers can't get some Abita Beer in there or what would it take to set up a big Snoball tent. I'd love the ability to get a large Wild Cherry Snoball with condensed milk to drag over to the next show at Congo Square. So yeah, I'm probably riding my bike up there this weekend. Now I just need to decide which day to attend. If Shanna wants to go we'll definitely be going on Sunday to catch Elvis Costello, The Boss, The Meters and more. If it's just me I might head over on Saturday to catch Juvenile, Etta James and Herbie Hancock. The New York Times is running an article about the exclusion of Bounce and Hip-Hop from the current national love fest of New Orleans music. I have a love/hate relationship with Bounce that is hard to explain. In my youth the radio airwaves were filled with inane and awesome rhymes like "Drive the stick a little deeper and a Sister might buy you a beeper", which I rightly thought were brilliant, raucous, and hillarious. Later on, as I got older and started to realize how the sound and culture of Bounce contributed to the social problems in the city, I started to tune out and even condemn it. Even the early stuff like "Triggerman" seems tame compared to the later "Chopper City" permutations. But still Mannie Fresh's techno infused production always made me overlook the negative and I was easily pulled in by dance anthems like Juvenile's "Slow Motion". I'm currently enjoying both Juve's "Reality Check" and Lil' Wayne's "Tha Carter, Vol. 2". There's a lot of good and bad to be said about Bounce but it's definitely part of our culture and heritage. To deny it is to deny our history. My Life in the Bush of Ghosts, an amazing collaboration between Brian Eno and David Byrne, celebrates its 25th Anniversary this year. To commemerate the occasion Nonesuch is releasing a special remastered version. They've launched a very well designed website to accompany the release. There's a ton of great content on the site including critical essays, samples, and original artwork including a Burce Connor short film. In addition they are also releasing 7 songs not on the original release and they are allowing users to download multitrack versions of the original recordings to cut up, sample and remix. Bush of Ghosts is one of my all time favorite albums. It reminds me of the wild and heady days of the early 90s, which for me was defined by exhuberant psychedelic exploration. This album typifies that vibe. More importantly its sound is evocative of the emerging globalism and the resulting cultural conflicts of the late 20th and early 21st centuries. It's an important album on many levels and I'm happy to see it being preserved and celebrated. Trivia: My favorite track off of the ablum, "Help Me Somebody" features a sampled recording of the Bishop Paul Morton, a wild, shouting preacher and the most powerful man in New Orleans gospel. It's a frenetic recording of Morton screaming about what how you can't escape the Spirit, even in Hell. It was recorded off of an A.M. radio in New Orleans, sometime in 1980. 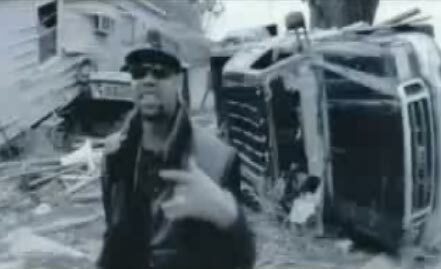 Juvenile's Get Your Hustle On video is pretty amazing. Even though it advocates using your FEMA checks to buy cocaine and convert it into crack I'm kinda feeling what he's saying. New Orleanians need to make their own way in the world now because no one's going to do anything for us. We've been abandoned at all levels of government. Is this how terrorism starts? Last night, as Shanna and I were returning from running some errands we heard a very loud 10 piece Panorama Jazz Band playing outside of Cafe Brasil on Frenchmen St. We walked down and watched them for a little while and they sound amazing right now. They now have 7 horn players and 3 percussionists which makes them louder and wilder than I've ever heard them before. A little later a bunch of our friends congregated there and we had our first mini get down of the season. I also completed the cape and hat for my costume yesterday. Today I will construct the armbands and paint my shoes & cape. It's coming along very well. Tonight it's off to see Knights of Babylon, the Krewe of Chaos and the Krewe of Muses. If you plan on being downtown tonight come and hang out with us on the corner of St. Charles and Canal, next to the Pickwick Club and across the street from Rubenstein Bros. I'm so excited for what this Carnival time will hold and tonight is the real beginning.